Went to the Red Bar Comedy Club to check out the birthday roast of Mike David and Kyle Lane. Mike David produces a a podcast called Red Bar Radio and co-owns the Red Bar comedy club with Kyle which goes down every weekend at club Ontourage in downtown Chicago. First of all, let me say it's a great venue for comedy, I was impressed with the Las Vegas style lounge vibe and the overall club itself, a very swank place. As for the roast, top notch. The panel was a great list of who's who in the Chicago Comedy scene. 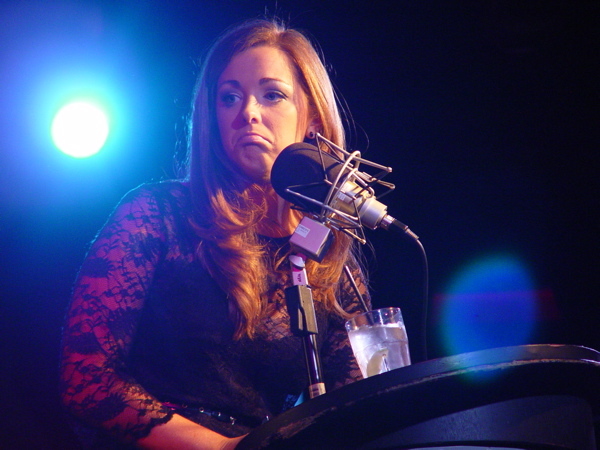 I wont get into every performance since there was over 8 great comics, but I will say Megan Gailey destroyed it. Home girl was roasting the hell out of the whole panel. I have seen her perform only a couple of times before and thought she was just OK, but let me tell you Megan must have pumped some comedy iron cause she was by far, the crowd favorite and pretty much killed. CYSK comics Joe Kilgallon, and Drew Michael also did a fine job insulting Mike David and their fellow comedians. All in all a great night of comedy in a great venue, if you have not been to the Red Bar comedy club, you should check it out.